Home » Pinpoint News » Blog » How can telematics help reduce heavy vehicle accidents? How can telematics help reduce heavy vehicle accidents? Department of Infrastructure statistics show there were 185 deaths from 168 heavy truck crashes on our nation's roads last year. During the year to the end of September 2017, there were 202 deaths from 181 heavy truck crashes on our nation's roads. This point was further hammered home in a recent open letter to the Federal Government from logistics giants Toll Group. ''We don't need any further research or committees. We have critical opportunities before us today that, when implemented, will save lives. We know what needs to be done,'' said Managing Director Michael Byrne. Part of his proposal for reducing the risk of collisions was to mandate advanced telematics in trucks. But how can telematics help reduce heavy vehicle accidents? What are the issues that need to be addressed? 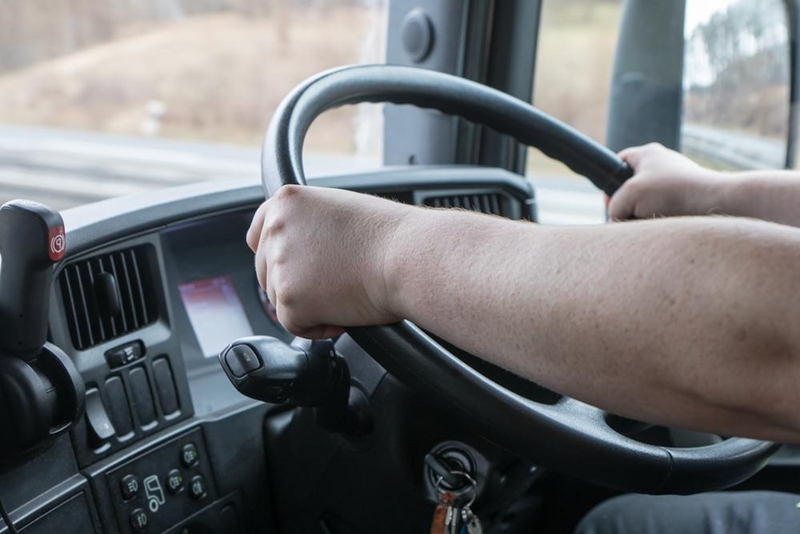 Driver fatigue - better managing the hours drivers work and maintaining an overview of roster scheduling would aid in reducing the risk of tired drivers taking to the road. Better route planning - giving drivers the best in GPS technology can help them better plan their journey, lowering the chances of being caught in dangerous driving conditions. Vehicle and driver monitoring - giving operations managers the ability to keep an eye on all of their drivers on the road will enable them to better analyse driving patterns and behaviour. Coupling this with emergency signalling means drives in need of urgent assistance can get it sooner. Providing drivers with vehicle telematics enables better route planning and fatigue management, lowering the chances of an accident. How can telematics address these and lower the chances of accidents? Driver fatigue - Pinpoint's vehicle telematics gives you a comprehensive fleet overview. By linking the platform with your driving schedules, you can be be alerted when a driver becomes fatigued, meaning you won't risk mistakes being made on the road. Better route planning - Our vehicle telematics also provides your drivers with GPS technology. Updated with real-time traffic-delay and road-condition data, your drivers can more accurately plan their journey and reduce the risk of driving in dangerous conditions. Vehicle and driver monitoring - Vehicle telematics allow you to monitor vital information about your fleet on the road, including vehicle whereabouts, fuel consumption and speeds. This way, you can ensure your drivers are always where they need to be. Our Mobile Duress solution also enables drivers to emit an emergency distress signal, no matter the network coverage or weather conditions, in case something goes wrong. 360O Digital Video - this allows you to record in-cabin footage and check live replays of events. This pouts you in the driver's seat for keeping an eye iover every aspect of your business. Tackling these big issues with telematics will reduce the number of heavy vehicle collisions and the deaths on Australian roads. For more information on taking the vital first step today, contact the Pinpoint team by clicking below.